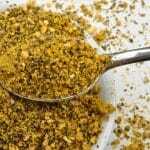 Every cook has had the misfortune of adding too much black pepper to a dish at one time or another. After all the time and effort spent in the kitchen working hard to make that perfect dish, all of your efforts feel as though they’ve gone right down the drain in an instant. Whether you’ve added just a dash too much pepper or you’ve miscalculated the amount significantly, the degree of disappointment and frustration is the same. But before you throw out that dish you’ve worked so hard to create, take a few deep breaths and relax. There are several extremely effective ways to balance the flavor, tone down the pepper or counteract the taste with the addition of other ingredients. Before you let that pesky pepper problem defeat you, take the time to experiment a bit and you stand a very good chance of saving your dish! If you’re working with a soup or sauce, you can typically remove a good deal of excess pepper grounds by pouring your dish through a cheesecloth or strainer and into a second pot. This is a great start for dishes with quite a bit of excess pepper, as well as for anyone who might be hesitant to add ingredients. After straining, taste your dish. Sometimes, this solution is the only one that you need. However, if your dish still tastes a bit too spicy or has too much pepper flavor, you can move on to another method. Straining first allows you to keep additions to a minimum. Whenever possible, diluting your dish is the easiest and least risky way to tone down excess pepper. The best way to do this is to add more of the ingredients that are already in your dish. Soups and stews can be diluted by adding broth, meat or vegetables. Dicing a potato and adding it to your pot is also an excellent way to dilute soups and stews, as this bland and starchy tuber absorbs extra pepper well. In dishes such as meatloaf or casserole, add more noodles or breadcrumbs along with an extra egg. Corn starch and flour ca be used in a number of dishes to even out the flavor and spice of over-peppering. Before the tongue detects any other flavor, it detects sweetness. By adding sweetness to your dish, you can essentially trick the taste buds by distracting away from the taste of the extra pepper. Sweetness comes in many forms, so before you reach for your sugar, consider what would best complement your particular dish. Carrots, tomatoes and other sweet vegetables are ideal for adding natural sweetness to soups and casseroles. For heavily peppered meats, try using barbecue sauce, honey glaze or another variety of sweet condiment. You can also use maple syrup, honey or molasses to add flavor in addition to sweetness. This can serve to complement your dish as well as sweetening it and toning down the flavor of the excess pepper. Simple, granulated sugar is always an option as well if you don’t have another sweetener or if it seems like the only additive that would work with your dish. Be sure to add the sweetener of your choice in small amounts and taste frequently as you do so. When the proportion is right, you’ll have a wonderfully flavored dish that doesn’t taste either too pepper or too sweet! 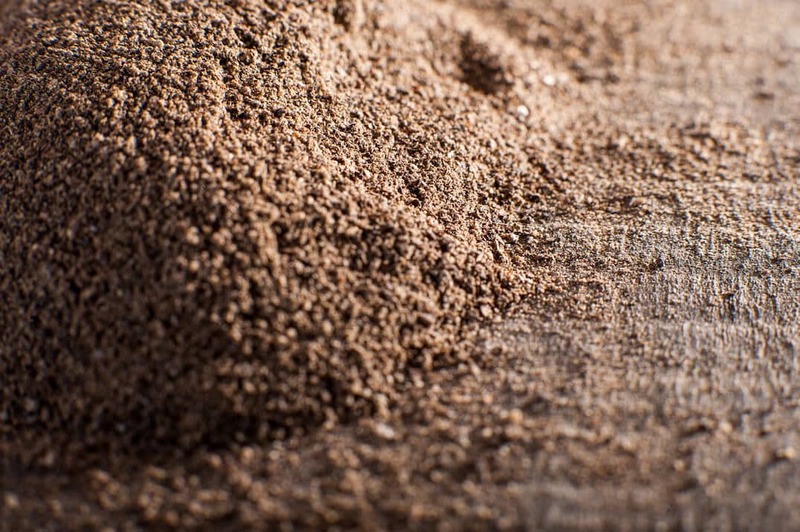 Fat neutralizes pepper by denaturing the enzymes that give this spice its flavor and heat. For a casserole, this can be as simple as adding cheese. In a stir-fry dish, coconut milk is an excellent ingredient for neutralizing pepper, as it adds both fat and a hint of sweetness. Broth-based soups can benefit from the addition of cream, as can a variety of other dishes. Full-fat cream or cheese will add richness as well as neutralizing the excess pepper. Lasagna, spaghetti and other Italian dishes do well with a bit of added olive oil. Some other types of dishes can also benefit from a drizzle of olive oil as well, as it’s extremely effective in cutting out that pepper spice. Chemically, pepper is a base, so adding an ingredient that is acidic can neutralize the flavor and save the meal you’ve worked so hard to prepare. Always consider what would best complement the food you’ve prepared before adding this additional ingredient. Lime juice is a perfect solution for Asian dishes, while lemon juice works best in a glazes or sauces and on fish or grilled meat. The richness of the meat in pork dishes is complemented wonderfully by the slight sweetness of apple cider vinegar. In soup or pasta sauce, Worcestershire sauce and balsamic vinegar can be effective acids for neutralizing that extra pepper. In dishes that don’t contain other seasonings, you can often save your dish by considering flavors that would work nicely. Then, simply introduce the new ingredient a bit at a time, always tasting as you go. By seasoning with additional herbs and spices, you can provide a balance that complements the flavors of both the food and the pepper. For example, excellent flavor pairings include curry powder, cumin and garlic in Indian and Spanish dishes, basil and oregano in Italian cuisine, and tarragon for fish or vegetables. No matter which method you choose to rescue your dish from being ruined by too much pepper, just remember that the most important thing to do is work slowly, adding small amounts of your chosen ingredient or ingredients and tasting after every addition. What's A Good Lemon Pepper Substitute? 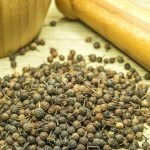 What's A Good Cubeb Pepper Substitute? 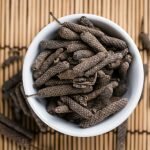 What's A Good Long Pepper Substitute?